Utility Trailer Manufacturing Company, one of the industry’s largest manufacturer of refrigerated trailers and a leading manufacturer of dry freight vans, flatbeds and Tautliner curtainsided trailers, announced that Denney Transport purchased 60 new Utility 3000R refrigerated trailers to promote its Driver Recruitment Initiative. The trailers feature an American flag graphic running the length of the trailer. Utility Trailer Manufacturing Company is America’s oldest privately owned, family-operated trailer manufacturer. 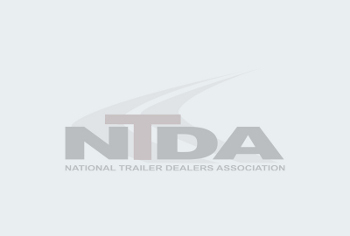 Founded in 1914, the company designs and manufactures dry freight vans, flatbeds, refrigerated vans, Tautliner® curtainsided trailers, and aerodynamic technologies. Utility currently operates six trailer manufacturing facilities across North America. Utility also has an extensive independent dealer network with over 100 locations throughout the United States, Canada, Mexico and South America. Visit www.utilitytrailer.com for more information. For more information on Denney Transport and their driver recruitment initiative, go to www.denneytransport.com/pay-package.